Looking for the best evening primrose oil supplements? Evening primrose oil is truly amazing. It is used for skin disorders such as eczema, psoriasis, and acne. We compiled the list of best evening primrose oil supplements, enriched with dosage recommendations and actual customers reviews. Evening primrose oil is a unique natural oil and is especially useful for women. Being the richest source of GLA (gamma-linolenic acid) – fatty acid, which is called irreplaceable. The most significant characteristic of evening primrose is that it is an excellent manager of hormones. This means that it can help with hormonal imbalances which cause acne (especially adult, hormonal acne), it can also help to cope with bad symptoms of PMS, symptoms of menopause (such as mood swings, hot flashes etc). Evening primrose oil is also used to improve fertility as well as a natural remedy to induce labor. Evening primrose oil is also used for rheumatoid arthritis, weak bones (osteoporosis), chronic fatigue syndrome (CFS), asthma, neurodermatitis, obesity and weight loss. Let’s look at features evening primrose oil has. There are many benefits of evening primrose oil benefits. 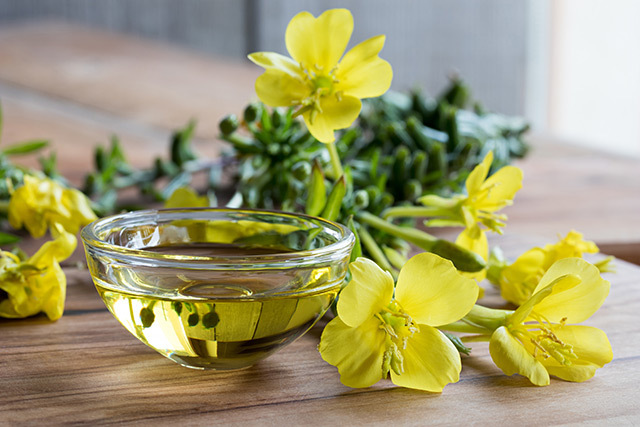 Let’s have a look at the list of the most prominent evening primrose oil benefits. Evening primrose oil for skin. EPO helps people with oily and acne prone skin. It makes sebum less thick, and therefore prevents pores from clogging and inflammation. It is also helpful for more severe conditions, like eczema, psoriasis, skin rashes. Thanks to the GLA, which can be found in high concentration in evening primrose oil, conditions like psoriasis whose cause and cure are unknown, can be relieved and healed. Evening primrose oil for acne. Evening primrose oil is exceptionally useful in decreasing inflammation and excessive cell turnover. EPO helps people with the acne-prone skin by managing hormonal imbalance. Acne is more than a skin disease. It is a reflection of what is going on internally. It is your body’s way of telling you that there is in an imbalance that needs to be addressed. More information about using evening primrose oil for acne and the correct dosage, you will find here. Evening primrose oil for PCOS. PCOS has been widely spread among young women in the recent years. Irregular periods, difficulty getting pregnant, excessive hair growth, weight gain – these all are PCOS symptoms. Evening primrose oil can help balance the levels of estrogen and progesterone in the woman’s body, combating PCOS roots. Evening primrose oil for arthritis. EPO has a powerful anti-inflammatory effect, which decreases swelling. Less painful, swollen joints and more joint mobility and movement. Evening primrose oil is high in essential fatty acids — which provide the building blocks for cell membranes and a variety of hormones and hormone-like substances. One of the most important ingredients in evening primrose oil is gamma-linolenic acid (GLA), which is also found in other plant-based oils. There are several things to look for when selecting an oil based product and specifically when looking for the best evening primrose oil. When choosing the best evening primrose oil capsules, it is important to make sure that you are purchasing pure capsules. Many products contain ingredients other than primrose, and they are typically not as effective. Pay attention to the guaranteed percentage of GLA (Gamma-linolenic acid) and linoleic acid. Commercial preparations of evening primrose oil typically contain around 8 percent GLA and 65 – 80 percent linoleic acid . The dosage of EPO for breast pain is the following: take 3,000 mg daily for 6 months. Detailed information on benefits of evening primrose for breast pain you will find here. These evening primrose oil supplements from Sports Research are rich in Omega-6 and 9. Each liquid softgel is guaranteed to Contain 10% GLA (Gamma-linolenic acid). Natural, Plant Derived, hand harvested and Cold Pressed from the seed of the Evening Primrose Plant. Helps Maintain Healthy Skin, Prostaglandin levels & a Balanced Immune Response. this is one of the best evening primrose oil supplements on the market, taking into account the price/quality ratio. QUALITY: Hexane, Gluten, and GMO-Free. Formulated Without Preservatives, Soy, Artificial Colorings, Stearates Or Titanium Dioxide. CONSUMER REVIEWS: 1) Helped with hormonal acne. 2) Reduced PMS pain and breast sensitivity. 3) Cleared psoriasis on elbows and knees. 4) Stopped hot flashes/night sweats. Solgar is a well-known supplements producer, and their evening primrose oil os one of the best. These softgels from Solgar are rich in Omega-6 and 9. Evening Primrose Oil is one of the richest sources of the unsaturated fatty acids, Gamma Linolenic Acid (GLA) which is important in helping to provide women’s nutrition, including nutritional support for women with PMS. QUALITY: Hexane-free, cold pressed and without the use of chemical solvents. These softgels are free of gluten, wheat, dairy, yeast, sugar, and sodium. They are also free of artificial flavors, sweeteners, preservatives, and colors. CONSUMER REVIEWS: 1) Helped with psoriasis. 2) Reduced breakouts and cystic pimples. 3) Reduction in hair loss. 4) Some reviewers noticed a bad smell of the product. Nature’s Way EfaGold is the highest quality Evening Primrose Oil – guaranteed to contain 10% gamma-linolenic acid (GLA) from non-GMO seeds. This is one of the best evening primrose oil supplements in terms of GLA percentage. QUALITY: Hexane-free, cold pressed, unrefined, and zero trans fat. CONSUMER REVIEWS: 1) Helped with hormonal acne. 2) Stopped hot flashes/night sweats. 3) Reduction in PMS symptoms (breast tenderness, bloating, terrible cramps, moodiness). 4) Helped with dry skin. This evening primrose oil 1300mg dose provides a very high concentration of Omega 6. It has chocolate flavor because the primrose oil is made with 100% natural cocoa powder. The high GLA content of our evening primrose oil capsules helps to relieve pains caused due to inflammation and other inflammatory conditions. Has only 25 calories per serving and is free of gluten starch, wheat and sugar to fit your diet. QUALITY: Hexane-free, cold pressed, unrefined. CONSUMER REVIEWS: 1) Helps with hormonal acne. 2) Reduces estrogen anxiety spikes. 3) Reduction in breast pain and fibroids. 4) Reduction of women´s hair loss. Pure Evening primrose oil, Maple Holistics, 2 oz. High in GLA gamma-linolenic acid – 10% of an essential fatty acid. A fast absorbing non-greasy natural liquid oil that makes your skin feel wonderful and glowy again. Liquid evening primrose oil helps in adding moisture to the skin and promoting healthy maintenance of collagen for supple, soft skin. QUALITY: Organic, 100% pure, cold pressed evening primrose oil. Packaged in dark amber glass bottle for longevity. CONSUMER REVIEWS: 1) Works as a great moisturizer for sensitive skin. 2) Helped in reducing hormonal acne. 3) Helped with hair loss due to hypothyroidism. 4) Wouldn’t aggravate or clog pores. For women who are trying to conceive, one of the benefits of evening primrose oil is that it may increase the quality of cervical mucus, making it a more fertile medium for sperm. Apart from that, Omega-6 fats, that are present in high concentration in primrose oil, can assist fertility by improving reproductive cell structure and decrease the risk of inflammation both to soothe and improve the health of the reproductive organs and all organs in the body (think period cramps and acne). Each capsule provides 1,300mg of EPO. Typical Fatty Acid Profile Per Serving: gamma-linolenic Acid Omega-6100 mg, Linoleic Acid Omega-6910 mg, Other Fatty Acids290 mg. Evening Primrose Oil naturally provides essential fatty acids that must be supplied through the diet. QUALITY: Cold pressed to prevent the loss of any beneficial nutrients. This cold process extraction method is known as “expeller-press”, simply squeezes the oil out of the seed without heat, hexane or other chemical solvents. CONSUMER REVIEWS: 1) Helps to grow nails and hair. 2) Helped with psoriasis. 3) Reduction in hormonal acne. 4) Helped a lot with menstrual cramps. CONSUMER REVIEWS: 1) Extra boost when it comes to libido. 2) Helps to get pregnant faster. 3) Supports healthy uterine muscle tone in preparation for pregnancy. Evening primrose oil may help the cervix soften, it also can help shorten labor duration. Many midwives use evening primrose oil (EPO) for cervical ripening or as a natural remedy to induce labor. Oftentimes women claim that evening primrose oil helped them to have a natural, drug-free labor and delivery. Pregnant women use liquid evening primrose oil to induce labor naturally: just put it on your fingers and do a perineal massage. This evening primrose oil from Nature’s Bounty is a natural source of the unsaturated fatty acid, Gamma-Linolenic acid. Helps support nutritional health, promotes women’s health. May help with dry skin. QUALITY: Cold pressed, Hexane-free. Contains gelatine. CONSUMER REVIEWS: 1) In the last part of the third trimester helps soften the cervix and prepare for labor. 2) Reduced breakouts. 3) Working from the inside out, helped with dry skin. This evening primrose oil, rich in Omega 6 fatty acids, is suitable for pregnant women also often take it to shorten labor and to reduce discomfort during childbirth. EPO is a traditional remedy that women have taken for hundreds of years to achieve hormonal balance. Regular supplementation reduces menstrual cramping, helps with hot flashes and other menopausal discomforts, clarifies your skin, fights hair loss, and promotes heart health. CONSUMER REVIEWS: 1) Helped to make labor easier and more consistent. 2) Works great for dilation (helped to dilate cervix for 3 cm within the period of 2 weeks taking this supplement). 3) Working great to help with the hormonal imbalance. Renewalize Organic Evening Primrose Oil, 4 Oz. High in GLA gamma-linolenic acid – 10% of an essential fatty acid. A fast absorbing non greasy natural liquid oil that makes your skin feel wonderful and glowy again. Liquid evening primrose oil helps in adding moisture to the skin and promoting healthy maintenance of collagen for supple, soft skin. Liquid Evening Primrose Oil delivers pure oil in an easily absorbable form. It can be used by people who have problems swallowing large pills. Another very common use of Liquid Evening Primrose Oil are multiple DIY beauty projects: you can use it to create your own face and eye creams, hair growth masks etc. QUALITY: USDA Certified Organic by CCOF. organic, 100% pure, cold pressed evening primrose oil. Packaged in Dark Amber Glass Bottle for longevity. CONSUMER REVIEWS: 1) Helps to prevent hair loss caused by vitamin D deficiency. A reviewer used this oil to massage scalp. 2) Works as a great moisturizer for sensitive skin. 3) Reduction in hormonal acne. 4) Some reviewers notice strong “chicken” smell, which should be normal for this type of oil. The smell can be killed by adding some drops of any essential oil to the mixture. Please note, that you should not consume EPO orally after you have added essential oil to it! Hudson, B.J.F. J Am Oil Chem Soc (1984) 61: 540. https://doi.org/10.1007/BF02677026.